Cambridge, Ontario-based company ATS Automation Systems has received a CAD60 million (USD46 million) order booking to design and deliver innovative automated reactor component removal tools for Bruce Power's Major Component Replacement (MCR) programme. The order is to be delivered over the next 18 months. ATS will provide automated solutions to enable the safe and efficient removal of fuel channels and calandria tubes, with the new order covering the design, construction and enhanced testing of detubing tools, as well as the provision of spare parts for the removal tools. A CAD40 million multi-year master tooling agreement for the supply of automated tooling systems and related services for Bruce's Life-Extension Program was signed by the two companies in December 2016. The latest order was announced on 29 June. ATS is designing and supplying all of the automation equipment required to remove the irradiated reactor components including the fuel channels, calandria tubes and calandria tube inserts. Multiple systems are required to remove the components; all are highly automated and controlled remotely. Automation equipment will be tested in ATS's purpose-built MCR Integration Facility, which replicates the geometries and interfaces Bruce reactor vault. 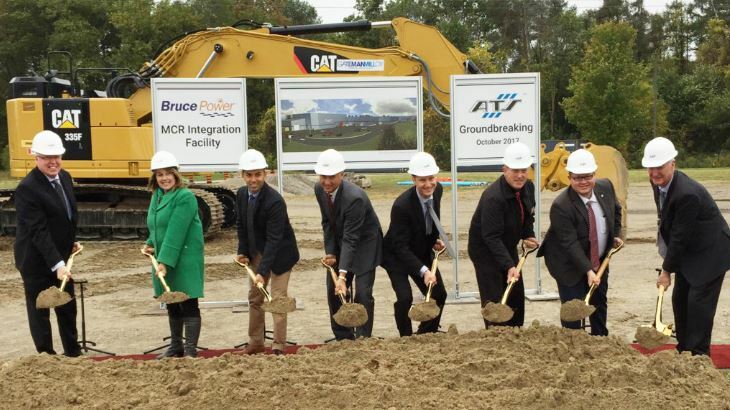 ATS began work on the facility with a ground-breaking ceremony in October 2017. Andrew Hider, CEO of ATS, said the company's "uncompromising commitment to the highest safety and quality standards, extensive knowledge of the nuclear industry, proven automation methodologies, and intense customer focus" were reasons the company had been selected. "The addition of these new order bookings demonstrates the strategic value that ATS brings to Bruce Power," he said. The company's systems are also being used in the refurbishment of Ontario Power Generation's Darlington plant. 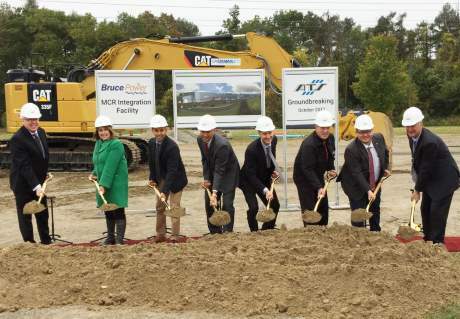 MCRs are to be carried out at Bruce units 3-8 as part of Bruce Power's CAD13 billion Life Extension Programme, launched in 2016 to enable the Bruce A and B nuclear power plants to operate until 2064. Units 1 and 2 at Bruce A have already been refurbished. The MCR programme will begin with Bruce unit 6 in 2020, with the other units following. All 480 of the reactor's fuel channels and calandria tubes will be removed and replaced as part of the works. "By forming partnerships with key suppliers, such as ATS, we are innovating and creating advanced robotics while securing Made in Ontario solutions for the components we will need to successfully complete our Major Component Replacement projects and for Ontario companies to successfully compete at a global level," Bruce Power CEO Mike Rencheck said.